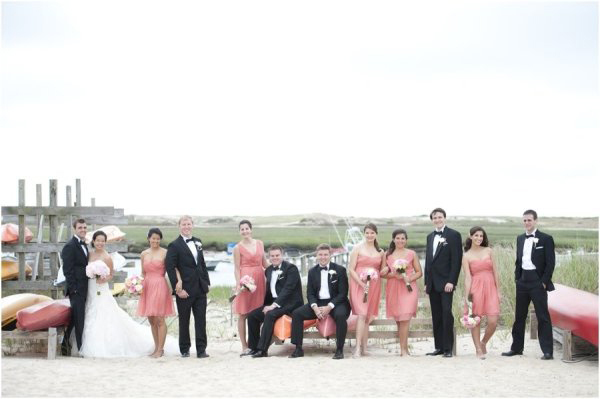 Home Real Weddings	FiftyFlowers Featured on Style Me Pretty Massachusetts! You need to check out this super sweet and romantic wedding featured on Style Me Pretty today! The Bride said, “We wanted to have an intimate wedding that really reflected our personalities, so we ended up doing a lot of DIY projects to personalize the ceremony and reception.” And DIY they did, from the paper pennants to the hair pieces for the bride and bridal party and, of course, their wedding flowers. The groom even made all the boutonnieres! The stunning photography was done by Suzanna March Photography. To view all the amazing images and to hear more from the Bride, Click Here! And have a Happy Friday!